"The S-400 is a computer. The F-35 is a computer. You don't hook your computer to your adversary's computer and that's basically what we would be doing,"
Joint Chiefs Chairman Gen. Joseph Dunford said Thursday that it will be difficult to proceed with the sale and delivery of F-35 Joint Strike Fighters to Turkey given Turkey's insistence on acquiring a Russian system designed to shoot them down. "It's a tough issue," Dunford said, and the U.S. "would have a hard time" justifying the F-35 sale to a nation that has Russia's S-400 advanced anti-air system. Dunford said he's worked hard to improve relations with NATO-allied Turkey, but the S-400s could be a deal-breaker on the F-35 sale. "We're hopeful to find a way through this, but it's a tough issue," Dunford said. 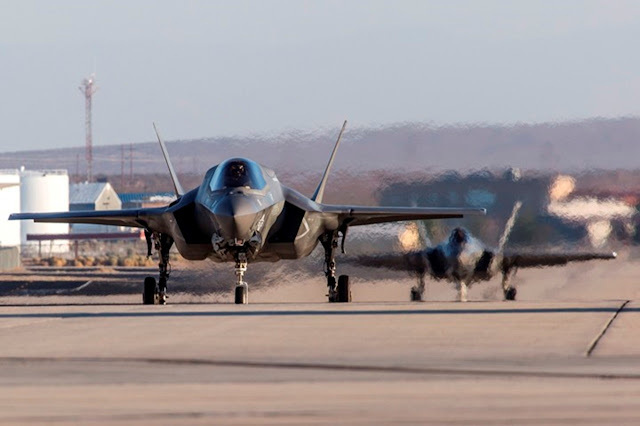 In all, Turkey wants to buy 100 of the F-35A variant used by the U.S. Air Force, according to Joint Strike Fighter manufacturer Lockheed Martin Corp. The country took delivery of its first F-35 last June, amid legislative efforts to halt future deliveries. Reuters reported earlier Thursday that the U.S. was eyeing a freeze in preparations to deliver the F-35 to Turkey in light of the country's efforts to acquire the S-400. "The S-400 is a computer. The F-35 is a computer. You don't hook your computer to your adversary's computer and that's basically what we would be doing," Katie Wheelbarger, acting assistant secretary of defense for international security affairs, told the news outlet in an interview. Hmm. Can't quite make up my mind. Does Turkey deserve/get full benefits of NATO membership or not? If they're part of NATO then they have a right to buy any and everything they want. We don't necessarily have to sell them any weapon system because of their membership. They're a partner in the program so at the very least we should be ready to refund money if we determine it isn't in our interests to sell them this airplane. I wonder how many poison pills are written into this agreement that makes either side backing out financially difficult....or at least difficult to explain to the country's citizens.